I'm not sure yet exactly what combination of layout causes this rendering bug, but at least for my profile page - and for some other profile pages which I have seen, but won't post screengrabs of as I don't have the skill to redact the personal information without losing the important details, the rendering of the top of the page is all wrong. A picture speaks a thousand words so please see the attached screenshot and picture, comparing Chrome on Android to Oxide on Ubuntu Touch. Olivier, do you think this might be a UA string sniffing issue? Brendan, I’m not observing the issue. 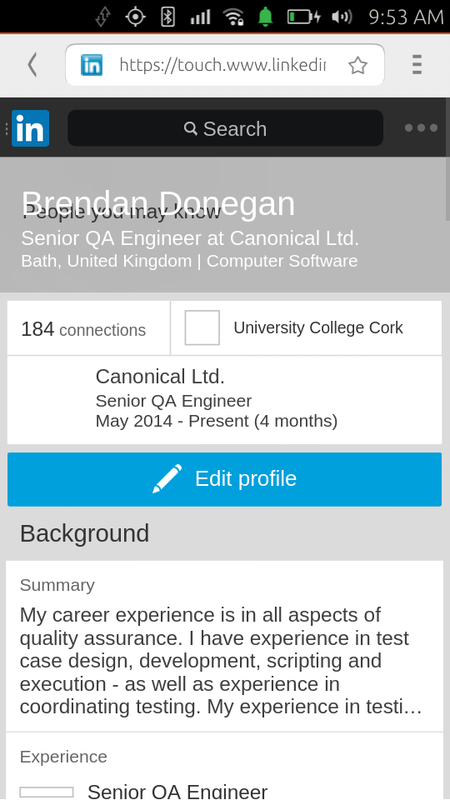 I’m attaching a screenshot of what your linkedin page looks like on my device. Can you advise on how to reproduce? 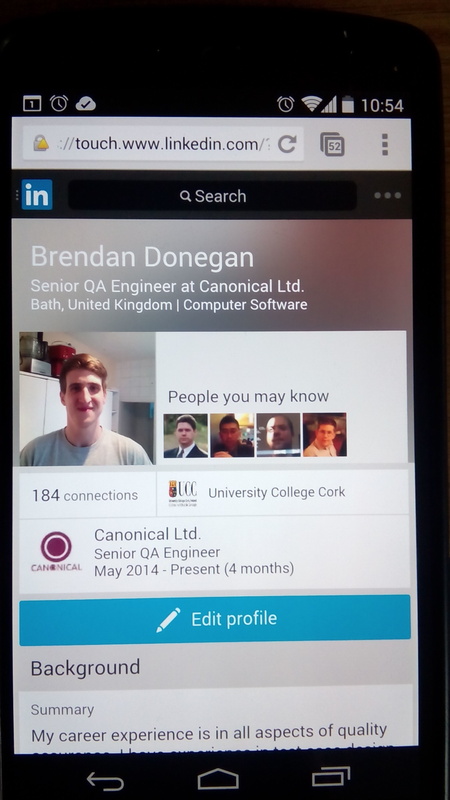 Ah, I’m seeing a little warning icon over the padlock one in the android screenshot, could it be that linkedin is trying to load insecure content over a secure connection? Brendan, can you attach the following log file, just after reproducing the issue? 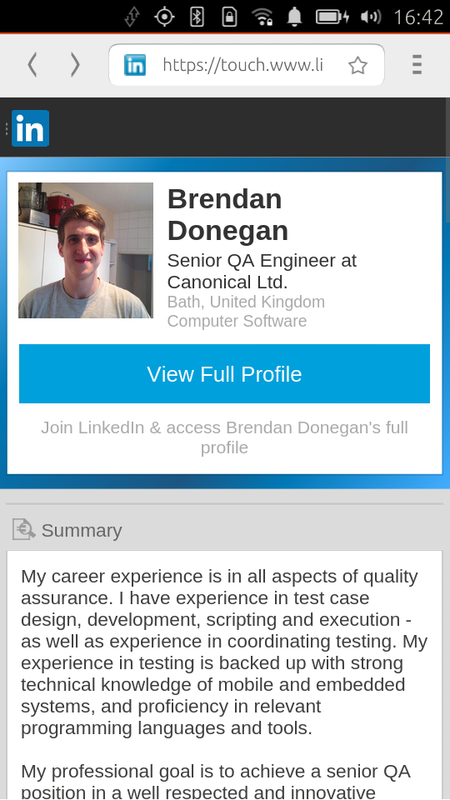 qml: [JS] (https://touch.www.linkedin.com/?sessionid=4097821657530368&or=true&rs=false&ahoy=no#you:0) [blocked] The page at 'https://touch.www.linkedin.com/?sessionid=4097821657530368&or=true&rs=false&ahoy=no#you' was loaded over HTTPS, but displayed insecure content from 'http://m.c.lnkd.licdn.com/media/p/4/005/059/157/0cc282c.jpg': this content should also be loaded over HTTPS. See Chris’ comment on a related issue: https://bugs.launchpad.net/webbrowser-app/+bug/1355120/comments/1.